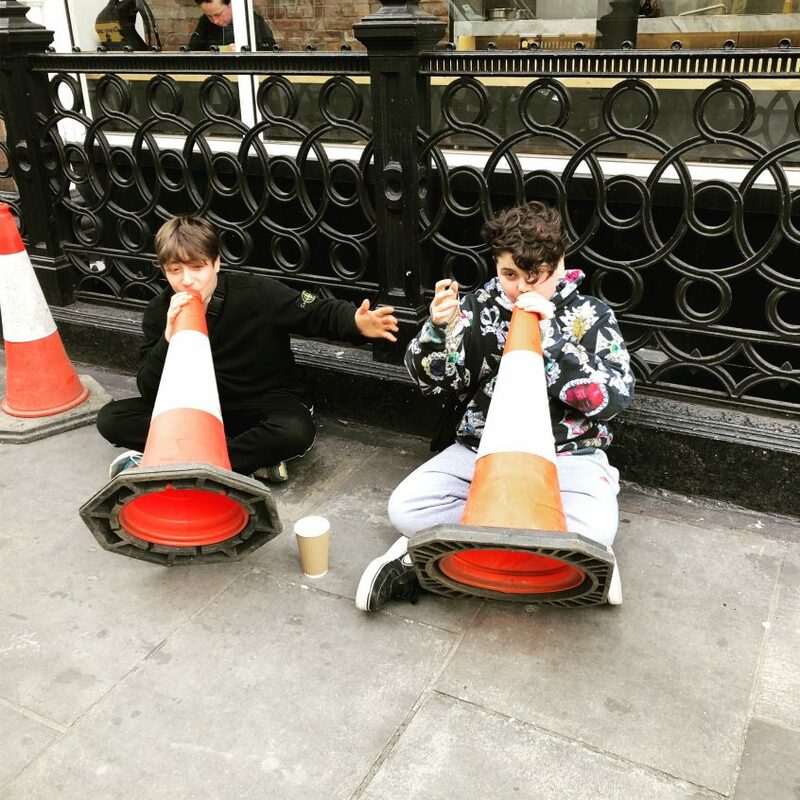 The picture was taken a couple of days ago while I was walking in soho on the way to a meeting and was drawn to the echoey sounds coming from these excitable kids singing into traffic cones. I couldn’t help but smile at their playful lark and felt compelled to walk up to them and take this pic. The rest of the passersby gave them that disinterested hurried glance as they kept on making their way to wherever it is they had to get to which made me pause to think of our lives in general and why we can’t, as adults, take a pause from life and engage with our inner child. Why can’t we have that bit of fun like kids do and not just leave it for later, after work, on the weekends, or when on holiday? There is the tendency to be all grown up and adult-like when it comes to work, and work for most adults is, unfortunately, considered a serious business. Working in film production I understand the pressure one has to handle. When on set, time equals money and the stress levels can reach sky high when things go wrong and don’t go as planned. Recently I worked on a film project with Stanley Tong who is renowned for directing some of the most craziest stunts in film history with films like ‘Police Story 3’ and ‘Rumble in the Bronx’ both starring Jackie Chan. The man is nearing his 60’s and I have to admit he looks good for his age, but that’s beside the point. Apart from being such a humble and generous human being, Stanley has an energy about him that oozes pure childlike curiosity. He has a vivaciousness which you can’t help but notice while he describes how the scene is going to unfold, especially when it’s an action scene. His smile accompanied by gesticulations, when expressing the shot he wants, conveys a spontaneous energy about him which compels you to go along for the ride… and it is a ride. Being a stunt man in his earlier career you can understand the enthusiasm he imbues in his environment when it comes to directing and after four decades of being in the industry his drive doesn’t seem to flag either. That drive, that energy, that enthusiasm is what keeps us going in our careers no matter what the score is. You just have to look at some of the great directors, whether it’s Spielberg, Tarantino or Scorsese to realise that their passion, drive and child like curiosity is what makes them who they are. To live inquisitively and excitedly like a little kid, exploring the zing is what makes life all the more captivating. Therefore, we must make a point of re energising ourselves whenever we can, adopting a curious childlike mind when we step out into the world, seeing things from a fresh perspective when we take that morning commute, or coming up with a smile and a twinkle in our eyes when we show up for work. Let’s embrace a spontaneous outlook on life whenever possible, especially when we come across our younger generation getting up to mischief and remind ourselves that we were once just like that. So, when we next walk by a couple of kids blowing through traffic cones aiming to sing a rendition of ‘Sweet Caroline’ see if you can conduct a better tune or better still, join them in the song.